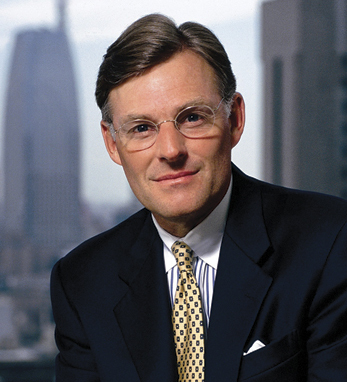 Terry McGraw is the chairman, president and CEO of The McGraw-Hill Companies. McGraw-Hill’s leading brands include Standard & Poor’s Ratings Services, S&P Indices, S&P Capital IQ, Platts, McGraw-Hill Education and J.D. Power and Associates. He has served as chairman since 1999, CEO since 1998, and president since 1993. He has also been a member of the board of directors since 1987. Terry received a BA from Tufts University in 1972 and completed his MBA at the Wharton School of the University of Pennsylvania in 1976. He joined McGraw-Hill in 1980. He is the chairman of the United States Council for International Business, and was appointed in 2009 by President Obama to the U.S.-India CEO Forum. Born to Harold McGraw, Jr. and Anne Per-Lee, Terry is a fourth-generation Irish American. He reflects that his family “brought from Ireland a great love of learning and a belief that honesty and hard work are fundamental to strong societies.” Terry and his wife, Nancy, have two children, Whit and Megan.